3 years & up. 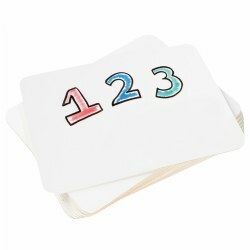 Develop skills in sequencing, memory, observation, and logic with 12 sets of four-step sequence stories. 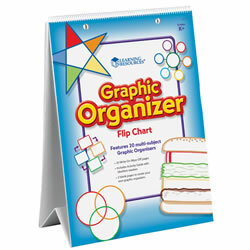 Includes 48 thick and durable real-image picture cards, activity card, and storage box. Pocket chart sold separately. 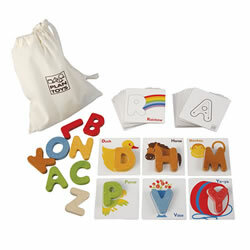 Familiarize children with the alphabet, beginning sounds, and the ASL manual alphabet. 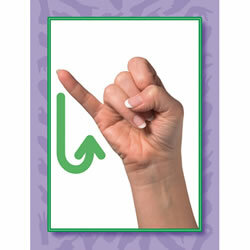 Each card features a letter of the alphabet and real photo on one side and a photograph of the ASL sign on the other. 26 cards included. 6" x 8"
3 years & up. 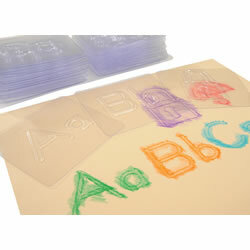 Learning to write the curves and lines of the alphabet just got easier with this sensory-driven activity. 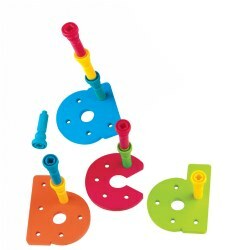 Follow the directional arrows and trace each letter with the magnetic stylus to pull the beads up into the holes. Lightly trace over the letters again with the tip of a finger and the metal balls drop back into the base. 11 1/2"L x 9 1/4"W x 1/2"H.
3 years & up. 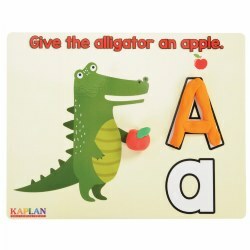 Promote letter recognition and phonemic awareness while refining motor skills! 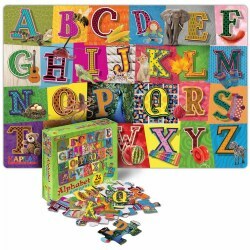 This set of 52 rubbing plates includes 26 plates with upper and lowercase letters, and 26 plates with images to match each letter. Handy tray provides for organized storage. 3 years & up. This 8 page STEM Journal outlines how to utilize the scientific process in an early childhood classroom. Each of the 8 1/2" x 11" pages provide a space for children to draw pictures along with developmentally appropriate lines to write text as they utilize the scientific method. Perfect addition to any science center! Set of 10 journals. 3 years & up. 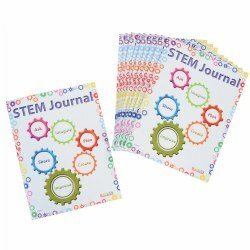 This inviting journal supports a variety of skills including fine motor, literacy, and memory. 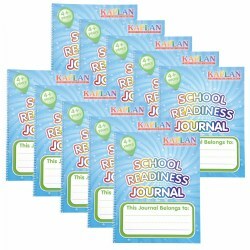 The 32 page journal offers several tips and ideas on journaling, explain how and why we journal, and how to extend the experience for children. 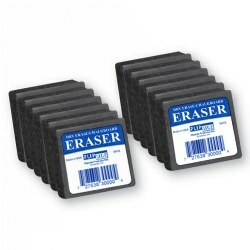 Each page is blank to encourage drawing, writing, or a combination of both. Journal measures 8 1/2" x 11". Set of 10 journals. 4 years & up. 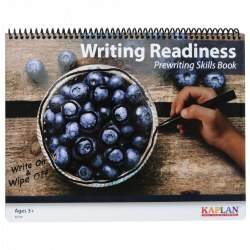 This inviting journal supports a variety of skills including fine motor, literacy, and memory. The 32 page journal offers several tips and ideas on journaling, explain how and why we journal, and how to extend the experience for children. The pages have a blank area to encourage drawing and two developmentally appropriate line spaces for the emergent writer. Journals support D'Nealian™ and Zaner-Bloser™ writing styles. Measures 8 1/2" x 11". 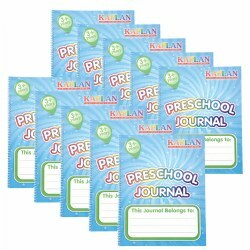 Set of 10 journals. 3 years & up. Invite children to tell their story in their own individualized book with these journals for children. 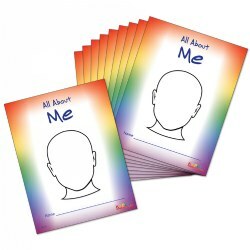 The 8 1/2" x 11" journals serve as wonderful self-discovery tools and provide a template for children to create their own self-portrait along with 8 writing prompts for kids to help them draw/write their own story. Set of 10. Great for back to school! 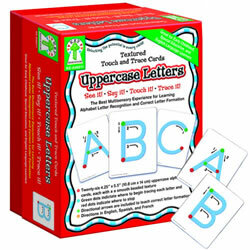 These 26 sturdy uppercase alphabet cards have a smooth beaded texture to enhance tactile sensation. Green dots indicate where to begin tracing each letter and red dots indicate where to stop. 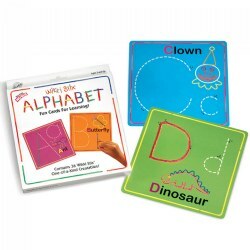 Directional arrows are included to teach correct letter formation. 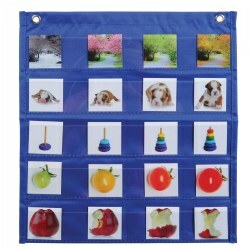 The perfect tool for early childhood, special education and ELL classrooms. Cards measure 4 1/4" x 5 1/2". 5 years & up. 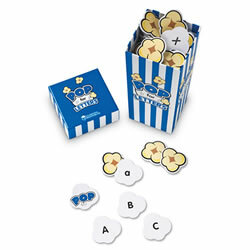 An alphabet game with a popcorn theme! Includes 100 die-cut popcorn pieces. Fosters letter recognition, turn-taking, and following directions. 3 years & up. 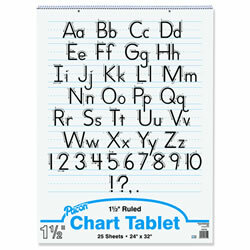 Write or draw on this dry-erase board, wipe clean and begin again! Measures 9" x 12". 3 years & up. Write or draw on our dry-erase board. Wipe clean and begin again! Each measures 9" x 12". 25 sheets. 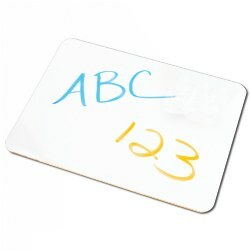 White paper with 1 1/2" rules for easy use. Stand sold separately. 3 years & up. 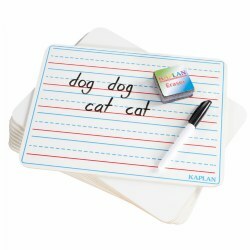 Double-sided dry-erase boards are fully lined on one side to practice letter writing and blank on the other side for open-ended creativity. Each measures 9" x 12". Erasers and dry-erase markers are sold separately. 3 years & up. 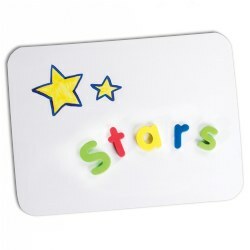 Children can practice skills independently on the convenient, individual chalkboards. 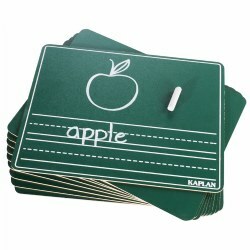 These 9" x 12" hardboard-backed chalkboards have writing guidelines on one side with the other side blank. Chalk is sold separately. 3 years & up. 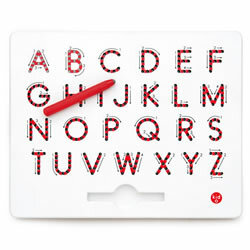 Dual-functioning board is dry-erase and magnetic for multiple activities. Measures 9" x 12". Letter magnets are not included.